Chengdus & Don'ts: We have flitted! My mother-in-law said to to me when we were in the process of moving from one house to another back in AZ that she would come over to help us 'flit'. I finally figured out what she meant and hence the title of my blog. Everyone has been dying to see pictures our our house. Now without further ado the grande tour of Casa Dallas, Chinese-style! You walk in the front door and here is the living room. It is huge! 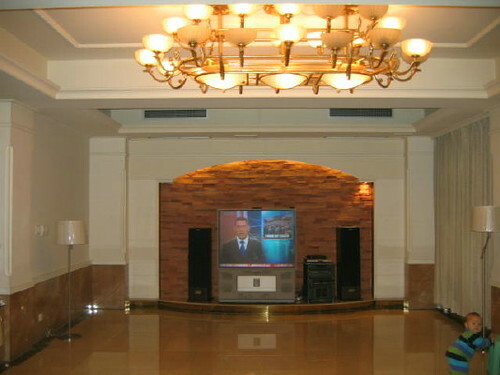 The Chinese are very proud of their televisions. There are TVs in every foot massage place and every house we looked at had a massive TV! You walk up three stairs to the dining room. Notice the floors are made of granite. It is everywhere here, on the sidewalks, driveways, etc. On the main floor there is a guest bed for our company. Doesn't it look comfy! Jeannete, Brian, Pam, did you book your tickets yet???? Here is the guest bathroom. Notice the urinal, any ideas to either hide it or make a piece of art out of it? 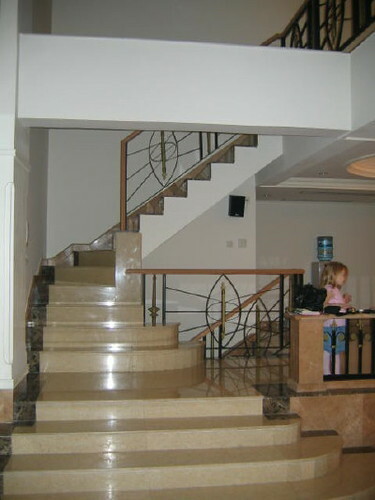 Here are the stairs. I have only fell down them a couple times. 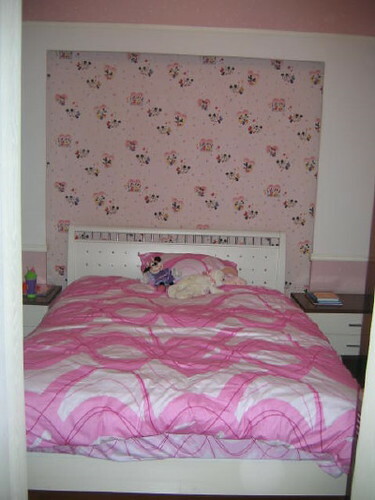 Miss Gemma's room, pretty in pink! 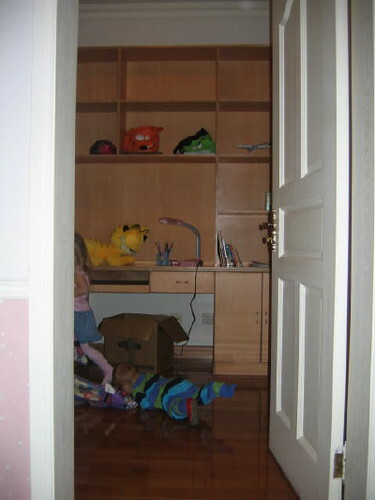 There is an office off Gemma's bedroom that we are making into the kids playroom. Angus' room patiently awaiting for his crib, which should arrive on November 10th along with our other belongings from AZ!! Our master bedroom, where it all happens! 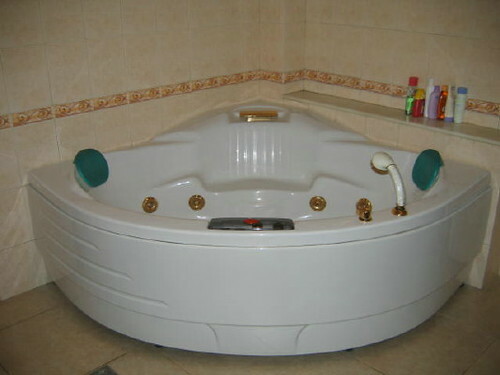 Here is the master bath tub, which has been tons of fun for the kids. It is like a mini-swimming pool in our house. It also fits the four of us in it very nicely! The office off the master bedroom, where I am typing from now! The view from the kitchen, a nice little play area for the kids. We also have a garage, basement storage area, upstairs bathroom for the kids (it was in use when I was taking the photos! 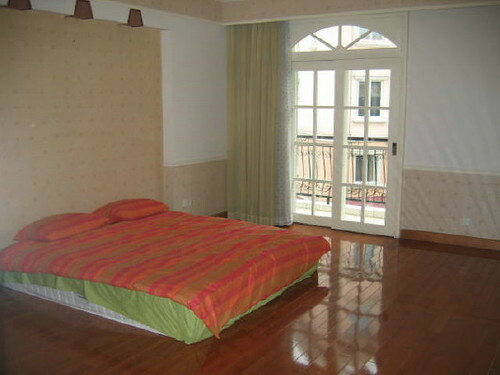 ), ayi's bedroom/storage and a kitchen. 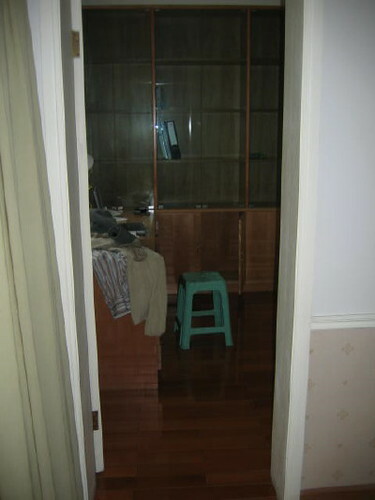 I would have loved to post a picture of the kitchen, but it is so small I couldn't get a good angle for a picture. WOW! What a fabu place!!!!! And the living room - to die for!!! And offices off the bedrooms, wonderbar!!! Thank you so much for sharing your experiences in Chengdu with many photos. Wow. you are living like a Queen over there!!! with room for the staff and everything! I hope it becomes a home for you. Wow!! So nice to see where you are living. What a house. I bet you can't wait for your stuff to come from AZ. 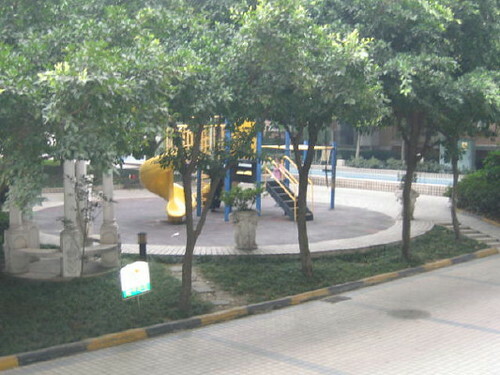 Thats great that you are next to a park for the kids. I bet they are always begging to go and play. It looks very grand. Cool to have a playground so close. whoa! 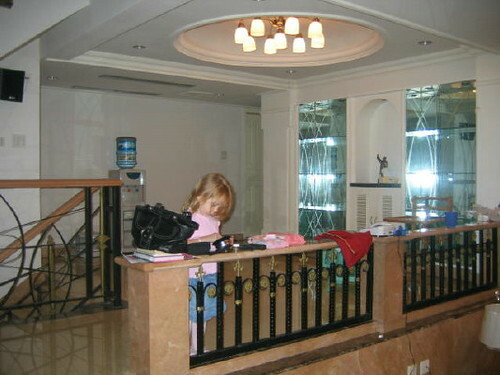 your place is amazing-i can't believe the granite floors! see- i do check your blog! Absolutely amazing...those floors make me want to roller skate! very cool! LOVE it! Love the kitchen view and the urinal. I like Jill's idea of putting a plant in it. 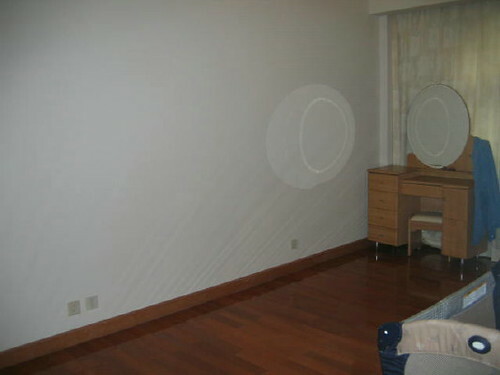 Those rooms are Gaudy (with a capital G) But you have lots of room for everyone. Looks like you could off of those floors. Enjoy it and keep on blogging!! I saw that TV and immediately looked up the price of a r/t ticket--it's only 1K! The house looks great BUT those floors look SOOO slippery. I think socks with suction cups are probably necessary. WOW! I love your space! Jim is fixated on the urinal--he's thinking of installing one in our master-bath. Brenna loves seeing pictures of "Gemma and Baby Angus." She asked "please, Mommy, I go to Gemma's house." By the looks of the fun you are having, we may have to dip into the kids' college fund to grant her wish!! "Flit", I don't get it.